Today I am so very thankful that i have a roof over my head, that my family is safe and sound, and that our area was not effective by the devastating tornados that hit parts of our state! 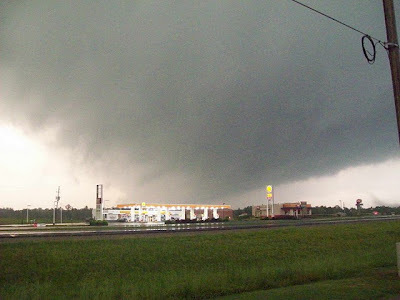 this picture of a tornado taken only about 5 minutes from my house... thank you Jesus it did not touch down in our area... we are so blessed! Tonight i go to bed with a heavy heart... for those in areas that have lost it all, for those who have lost love ones, for these poor college students that have seen devastation in their college town... it is just oh so sad... Oh God I pray for these families!